Are you suffering from constipation? Are you looking for quick and effective ways to get rid of it and fast? You are not alone as constipation is one of the most common medical conditions in the western world. As we eat, our digestive system will break down food so that we can absorb all the nutrients and water. Sometimes the foods are not broken down and hence could lead to painful stooling or hard stool. This is known as constipation. Constipation is a very common health problem, affecting over 20% of American each year. There are many natural ways to help relieve constipation. You can do these in the comfort of your homes. Drinking a good amount of water to stay hydrated is a great way to relieve yourself from constipation. also more efficient. In summary, if you feel constipated, drinking water can help you get better, as well as help you prevent constipation. Drinking warm water can also help you ease constipation. Lemon water is another effective natural remedy for constipation. Lemon water is simply fresh, natural juice made from lemons. 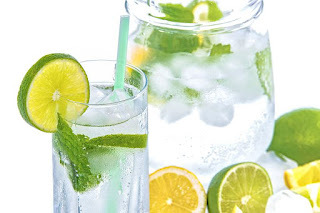 The citric acid present in lemon water is capable of stimulating your digestive system, which aids in ridding your body from toxins and providing quick relief from constipation. Drinking lemon water can also help you prevent constipation and give you a lot of other amazing health benefits. The fiber softens your stool making it easier you to pass it out. 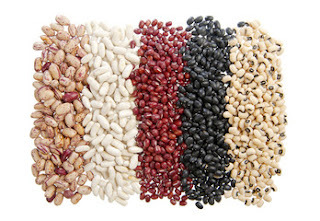 Beans also possess nutrients essential for muscle health and function. 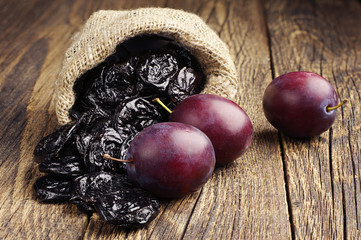 Prunes are fiber-rich fruits which automatically makes them a powerful natural home remedy for constipation. Prunes are also high in sorbitol, which is a carbohydrate the body digests slowly. It helps in softening stool and making you defecate properly, without shedding tears. Magnesium is one if the body’s electrolytes and it’s main function is to coordinate muscle movement in the body. If you noticed, I always mentioned high fiber among many of the natural remedies for constipation. That is because a high fiber diet, can greatly improve your digestive system. Here are some group of foods and herbs that can really help you. digestive tract. All these herbs should be taken with enough water. 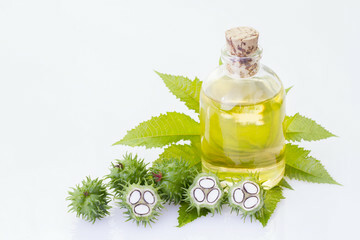 Castor oil is a popular laxative used to treat constipation. It is an effective natural remedy for constipation that has been used for a long time in ancient medicine. Castor oil is a stimulant laxative, it enhances the movement of the intestines, thus making the stool to come out on time. During surgical sessions, castor oil can also be used to clean out the intestines for examination before a bowel surgery. You can read my article on the health benefits of castor oil. Yes! Coffee is another helpful natural remedy for constipation. 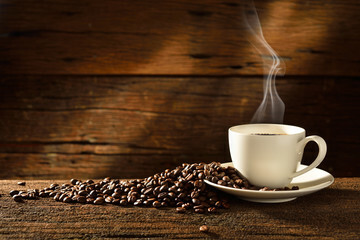 Coffee is capable of speeding the digestion process. Coffee aids digestion by stimulating the colon. It is rich in fiber, oil, and water. drinking water, thus helping you prevent and relieve constipation. I have always hailed exercising as a very healthy habit. This is especially true when it comes to avoiding or remedying constipation. Engaging in physical activity improves muscle function, boosts metabolism and stimulates digestion. After taking a heavy meal and you feel sleepy, it is advisable to go for a short walk of probably fifteen minutes to make the digestive process a lot easier. Should in case you have constipation, pelvic floor exercises can be effective in relieving constipation than even laxatives. Simple exercises like yoga, running, swimming and jogging can help aid digestion too. Note: Before taking any natural remedies for constipation you should consult your doctor and find out if it is safe for you. What are the Types, Causes and Symptoms of Hair Loss? I think lemon water is really effective. I have tried that several times and it really solves the constipation problems. These are really great tips, heard about senna but most people experiences caused their stomach to really hurt but I guess it works differently on everyone. Warm water or lemon water in the morning is best and simplest remedy for constipation. I need to keep this in mind. I HATE to be constipated. It's the worst feeling. I do try that lemon water. Great tips for solving a common problem! I wasn't aware of a few of your suggestions – so it was interesting to learn about those. Lemon water is the best. I cannot thank you enough for this post. I don't even remember since when I have this problem. Drinking water and exercising have always worked for me. Thanks again for the tips. Wow never knew all these things could help you poo! coffee and running sure does work for me though. Drinking lots of water and drinking coffee are the effective ways for me. Though water really relieves constipation while drinking coffee makes me poop regularly. These tips are great. I wasn't aware of some of them, but I know that lemon water and coffee works for sure. These are very helpful. Drinking water and with lemon is the way I do, which helps me to ease constipation and cleanses my tummy.